Iain Banks' recent announcement about his cancer diagnosis and the possibility of an all-too-soon death was a shattering yet inspiring thing to read. The bravery and honesty and dignity on display! 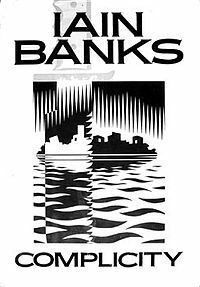 I've already liked and respected Banks for years, his novels and his politics and his fury at the injustices of the world. But that announcement moved my feelings right up into genuine love. I love Iain Banks. A beautiful human being! He is on my mind today because I had the misfortune of reading a revoltingly clueless blog post by Brendan O'Neill. The primary message of his overlong diatribe appears to be that folks who are dying need to do it privately; to do otherwise is to feed the prurient appetities of all the so-called "death watchers" in the world. O'Neill's nonsense is offensively doltish simply because it misses a central point about cancer and about dying: in many parts of American, English, and European culture, such things still carry a distinct burden of shame. It is this shame and it is the often unspoken social stigma attached to dying that forces people to die alone, quietly, don't want to burden anyone, oh no, I will shoulder this burden all on my lonesome behind closed doors, tastefully. Etc, etc, etc. O'Neill just doesn't seem to grasp that the more people are open about their diagnoses, the more they are willing to let others support them, the less there will be of this awful shame and stigma that haunts people unto death. In many ways, this association of death & dying with shame & stigma is - for lack of a better word, my apologies in advance - such a WASP-y perspective. And by "W.A.S.P." I mean of course "white anglo-saxon protestant". I hate to pigeonhole and I know that there are probably tons of folks of that persuasion who do not have such a perspective on death & dying. But the fact remains: white anglo-saxon protestant culture is often a culture where such things as death & dying, as cancer, are considered to be somehow unseemly. Best not to make such a display of oneself - right, O'Neill? Best to simply keep your embarrassing little death to yourself. NO, NO, NO. Do not go gently into that good night! Okay, that's it for the rant. Now for the books. Much of what is written on Banks is concerned with his fabulous Culture series. I'd like to highlight three of his non-Culture novels. All are interesting and provocative; one is a genuine classic - albeit a disturbing one. a non-Culture sci-fi adventure from Banks, one whose intriguing major topic is the relativity of morality. the aliens are pretty much humans in alien form - not much attempt to convey a truly alien viewpoint. but it is all fascinating nonetheless, and many of the characters - alien and otherwise - are sympathetic or fearful creations. expansive world/universe-building, per usual. some real narrative surprises from beginning to end. the novel's Villain with a capital V is almost a parody, as if this character and his eventual purpose in the novel were specifically designed to mess with reader expectation. in the twists and turns of the protagonist's backstory and motivations, i was able to see the genuine sympathy that the author has for those who fight against authoritarianism. it is also interesting to compare the perspective on AIs between this novel and the Culture novels. in this universe's demonization of artificial intelligence, Banks is able to fully illustrate the horror (and stupidity) of demonizing and oppressing any community. what i didn't enjoy were the many descriptions of an alien species' habit of enslaving, tormenting, and killing their young - but hey maybe that's just me. i understand the rationale for its frequent inclusion, but gosh it was appalling and left a sour taste. they were some pretty loveable aliens and then it all had to be ruined by those noxious activities! ugh. well, i suppose that's just Iain Banks the stridently moral moral relativist... he will never let me have my cake and eat it too. so annoying! but in such a good way. Banks' sci-fi is often fabulously complex and his thrillers can feel almost ostentatiously stripped-down. this is one of the latter. the writing is solid and the narrative is often riveting. particularly intriguing is the interest in doubles and obsessions and two characters who reflect each other's passions and weaknesses. there are also some unsurprisingly sharp critiques of materialism and various other classic and modern evils... the victims are a veritable Who's Who of Assholes Deserving Slaughter... the killer, demented as he may be, is something of a robin hood, taken to the next level (down). i particularly appreciated - SPOILER AHEAD - the flashback to the brief sexual interlude between the narrator and the killer as children. it was refreshing. sexual experimentation between kids of the same gender is common enough, of course, and does not automatically mean anything about their sexual orientation in the long run. although the flashback eventually has a larger meaning (insofar as a deep connection is established between the two characters due to what happens immediately afterwards)... i was mainly impressed by the nonchalance displayed in that short scene. a weaker novelist would have had much more to say, would have supplied much more drama and psychobabble and disturbing undercurrents when dealing with such activities. not Banks. indeed, despite its lurid subject matter, that nonchalance and that basic acceptance of certain parts of human nature is a hallmark of the entire novel. a gentle coming-of-age tale set in rustic scotland, depicting the charming misadventures of a precocious lad and his idiosyncratic older brother as they struggle to understand themselves and each other. this is some hard stuff, and by "hard" i mean Hard Like the Marquis de Sade Is Hard. do not read this if you cannot stomach graphic depictions of animal torture. do not read this if you cannot stomach the murder of children. this one was hard for me to read at times, and i read some pretty terrible things. but this is actually not a bleak book. perhaps because of the narrator: young Frank is a sadistic creature but his perspective is often self-deprecatingly wry or amusingly pedantic. he may be an affectless sociopath who channels his monstrous emotions into bizarre rituals and vicious traps, but hey - he is also a sensitively-wrought kid with many problems. what makes the book such a unique affair is the tension between the horrors illustrated and the traditional vehicle in which they are expressed: it is in many ways a kind of Young Adult novel, albeit one chock-full of grotesquerie. one in which the protagonist struggles to move beyond his outsider status, to connect with others, to understand his distant father and his, er, 'problematic' older brother. Frank's cruelties exist side-by-side with a cold-blooded version of typical teenage angst, angst that is built around familial relations, gender, and simply finding a place in the world. the ending resolves some truly dreadful plotlines in a truly dreadful manner, but also parallels the typically transformative Young Adult ending in which the hero comes to understand himself and so is able to move forward with his life. clever, Banks, so very clever! the narrative is designed as a chinese box of layered (and revolting) mysteries, but it is also designed as a more subtle trap for the unsuspecting reader: look at you, you just found some sympathy for a remorseless little psycho! the personal problems that he has to struggle with ARE pretty heavy for a kid to deal with, right? and you felt a bit of happiness at his eventual self-discovery, didn't you? well, you should be ashamed, sicko! the writing is clean, clear, precise and the tone is surprisingly upbeat. the protagonist's thoughts have a quiet yearning and naiveté to them that makes even his most horrific plans and rationalizations seem almost understated, almost innocent. the deadpan humor also relieves some of the viciousness of the very dark activities portrayed. the dissection of gender was fascinating! 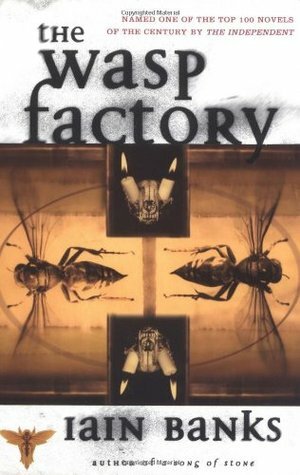 and the use of the wasp factory itself moves beyond that of a torture maze, becoming a metaphor and a parallel for the fates of each of the characters. overall, a disturbing but very enriching experience. Try not to be so awesome. awww, shucks. thank you Dan! You might consider checking out Jay Lake's trials and tribulations with cancer (jlake.com). Waterloo pictures is doing a documentary (that was supposed to have a happier ending); Jay's cancer is back with a vengeance, and he's DEFINITELY not going quietly ANYWHERE.